Here is the last of my retro posts from Rajasthan. Light and shadow. One is nothing without the other. January is the time of year here in Rajasthan when the sun describes only a low curve in the sky. 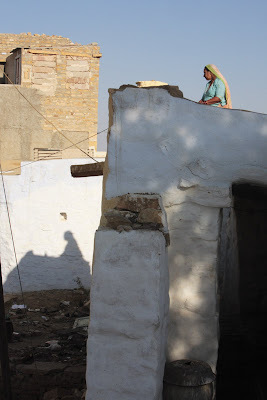 So for most of the day and nowhere more than in the narrow alleys of the historic Fort of Jaisalmer there is a continuous shadow play of original and duplicate, form and counter form. The Dark Side emanates a strange attraction.